The two farms we produce on, “Trigona” and “ Madonnina”, are situated on a landscape between two adjacent municipalities, Lentini and Carlentini. The presence of the volcano Mount Etna gives this environment a unique microclimate, which confers particular organoleptic characteristics to our citrus groves, firstly, the pigmentation of the pulp, which is red, with extraordinarily nutritious and healthy properties for which the citruses are famous. The fundamental factor of the climate in this area is the sharp temperature range between night and day, which is both emphasized by the volcanic microclimate and mitigated by the sea. 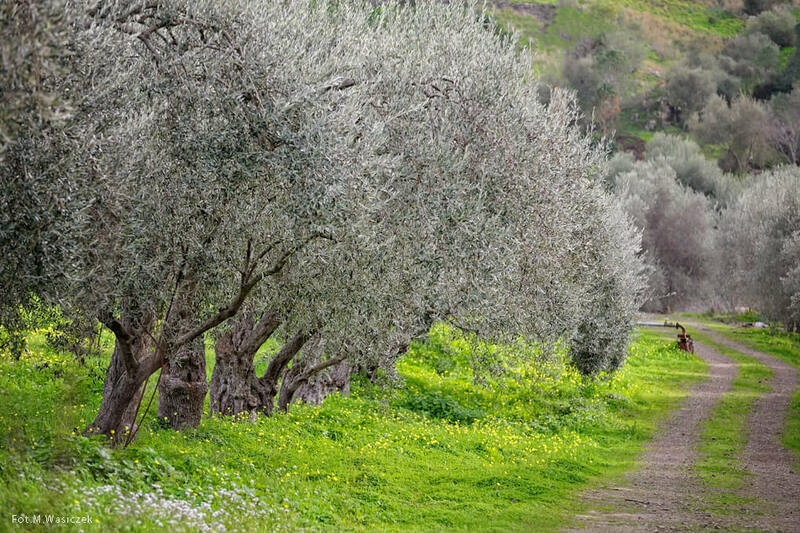 TRIGONA is in a valley, and it is surrounded by numerous citrus farms, with which it forms the typical monocultural landscape of the Lentini area. Trigona, which was once called “Dagala bottom”, rises next to the river with the same name. The earth here is heavy, deep and rich in nutrients. It is very fertile land, which is easy to cultivate. 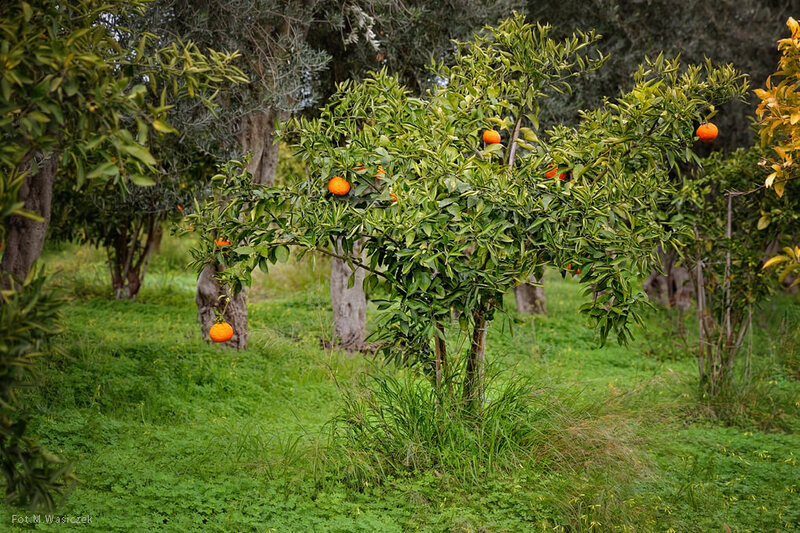 It was once cultivated with grains and now, for the past century, since our great grandfather Gaetano planted the first trees, it has been producing oranges. 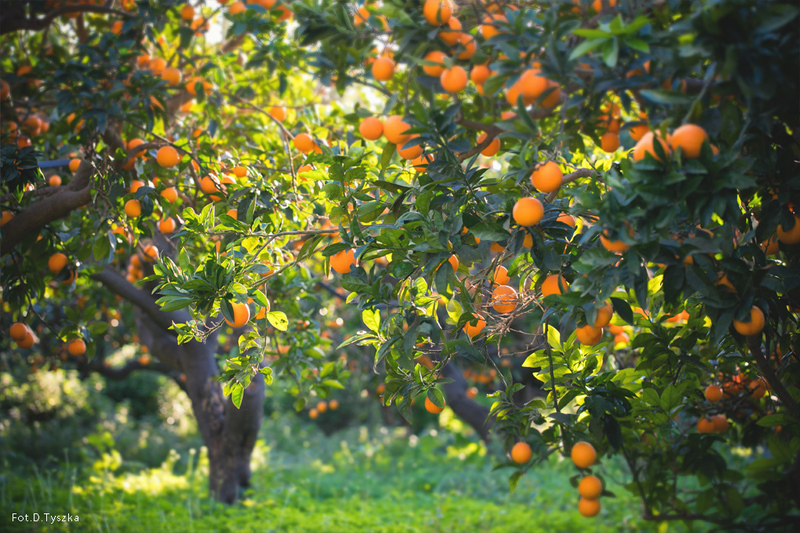 The difficulties with this farm and the citrus production is the elevated risk of winter and spring freezing, which we contrast with the help of old anti-freezing fans. Very humid, windless nights can occur in this area, with the temperature suddenly and quickly dropping below zero, making the condensation on the newly grown vegetation freeze, which damages the trees and can bring them to perish. 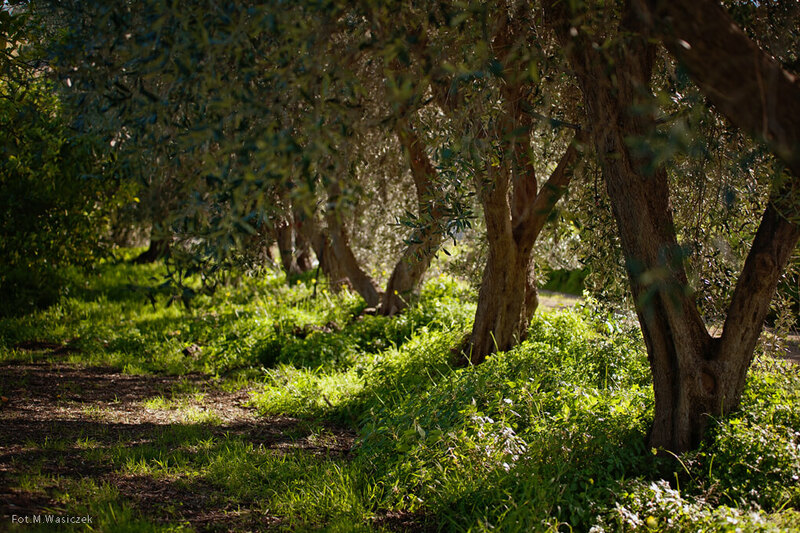 MADONNINA is located in the hills, on a terrain which is more difficult and costly to cultivate and maintain. There are noticeable disparities and drops in the landscape here, which makes the maintenance of the irrigation systems more difficult to manage. 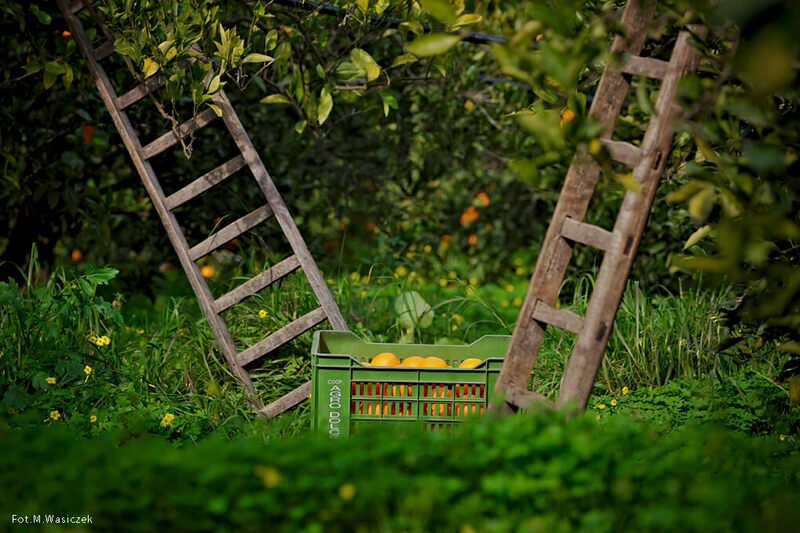 Different parts of the centennial citrus groves are terraced on different levels and make the use of mechanical devices more problematic as well. Winter rainfalls create numerous streams, which we control by preparing channeling systems throughout the summertime. 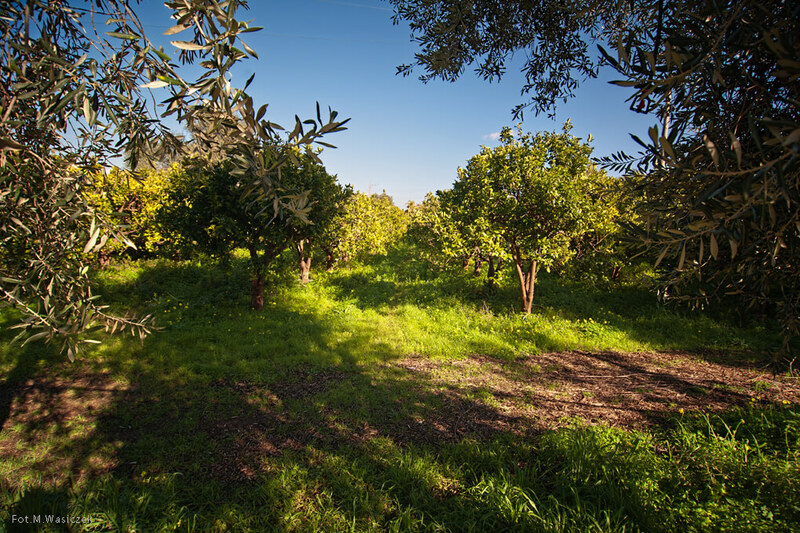 This farm has also had citrus groves since about a century (again, through the work of our great grandfather, Gaetano), and before that there were vineyards, grain cultivations, cattle and sheep. In the past, this was not an easy place to reach, and because it was characterized by a rocky landscape and strong sea winds, it used to be called “petruzze i jelo”, stones of frost. Through the influence of our religiously devout great grandmother, Demarata, it was later renamed “Madonnina”. The cultivating difficulties that this land has are compensated by the beauty of the landscape, which is rich in diversity, both in its geological structure and in the wild flora and fauna that surround it. The property unfolds on the peak of a long and narrow hill, with rocky canyons coasting it, closed off on the south side by a plateau that is similar to the Iblei landscape of which it is part of, and on the north side by a large plain that it faces, at the end of which rises the volcano, Mount Etna, also known as “a Muntagna”, the mountain.